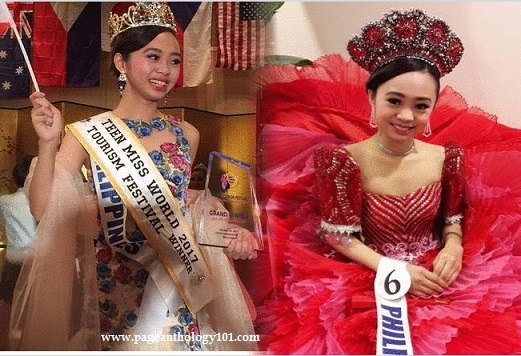 13-year-old Diosem Llyed Budios from Manila, Philippines was crowned Miss Teen World Tourism 2017 in Tokyo, Japan. The pageant was one of the major events during the World Tourism Festival last October 31 in Tokyo. She also bagged special awards like Best in Interview, Best In National Costume, Teen Photogenic, and Teen Social Media. As reigning Miss Teen World Tourism, Diosem already has her advocacy on international tourism and clean and green environment as priorities to focus on during her reign.